GeoExperts has access to expert geoscientists and engineers who can assist clients in the interpretation and evaluation of any hydrocarbon play in any part of the world. . Through their expertise and years of experience gained through working with major oil and gas fields on every international and domestic province, the experts at GeoExperts have the knowledge and skills to interpret seismic, well and engineering data. They can quickly evaluate all the key factors controlling all hydrocarbon plays and field developments. Our experts are recognized in the industry for their ability to quickly report on new E&P opportunities for our clients. John Burton is an oil and gas industry executive with more than forty years experience on a global basis and is a well known industry expert on West Africa and South East Asia oil and gas development. He began his career with Shell Oil Company, working in Libya and Gabon. He joined the Phillips Petroleum Company (now ConocoPhillips) in 1972 and advanced through a series of significant international management positions of increasing responsibility. Notable amongst his various assignments were Technical Director Nigeria (1972-1977); Geoscience Manager Norway (1978-1980); Country Manager Philippines (1980-1983); Director Development Europe-Africa (1984-1986); Director Exploration UK (1986-1991); Country Manager Cameroon (1992-1996); and Director Geological Research & Services (1996-1999). On retiring from ConocoPhillips, Dr. Burton founded GeoExperts. GeoExperts is headquartered in Houston, Texas, with branch offices in London, UK, Calgary, Canada and West Africa. 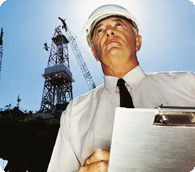 GeoExperts provides key technical staff along with sophisticated financial and operational consulting services to the worldwide oil industry. GeoExperts also runs, under the direction of Dr. Burton, industry training programs with internationally recognized instructors. Dr. Burton earned his Doctorate at Imperial College, London, and is a member of AAPG, SEG, SPE, HGS and PESGB. Jeff Barry is an energy sector corporate finance and merger and acquisition specialist with international operations, and big-four accounting background. He has thirty years experience in creating, implementing and managing national and international business building and capital plans, working with entrepreneurial teams, institutional investors and investment banking firms. Mr Barry is responsible for providing original transaction ideas and independent evaluation advice, capital structuring and project management services to corporations, governments and institutional investors. These responsibilities encompass developing, analyzing and implementing plans for clients that serve as the foundation for value building results in the global energy and financial sectors, as well as monitoring and operational services to ensure achievement of objectives. Assignments included helping entrepreneurial teams and institutional investors organize companies, identify and present their value-proposition and structure appropriate financing, along with advising on the deployment of capital into specially selected petroleum and natural gas opportunities. Participated in front-end feasibility project management, including debt and equity capital structuring, for exploration and production, pipeline, terminal and storage operations, refinery and petrochemical facilities, and related electricity generation and distribution projects associated with corporate and institutional clients in Russia, Venezuela, Libya, Argentina, Chile, Bolivia, Cameroon and Thailand as well as for midstream infrastructure and downstream operations of national oil companies. Recent work included a valuation analysis of a leading natural gas liquids enterprise; defining strategic objectives and writing the business plan for an international oil field services acquisition and consolidation program; developing the financing plan for a new electricity generation facility dedicated to a petrochemicals complex; and planning an integrated natural gas transportation, storage and distribution system in Argentina; and organizing the local logistical operations and services for an LNG construction project in Mexico. Currently advising investment groups on the organization and financing of Gulf of Mexico continental shelf operations, along with serving as Team Leader to manage the farm-out and joint operating agreement procedures for petroleum exploration concession operators in Guinea, Gabon, Ghana and Mauritania. Prior to being based at Houston, he established the strategy and managed business processes of a $200 million Latin American corporate acquisition and transformation initiative sponsored by an institutional investor group and a $500 million energy systems development fund on behalf of an international oil company. Mr. Barry has provided finance and operations consulting services to companies in Great Britain, Ireland, France, Germany, Belgium, Netherlands, Spain, Italy, Switzerland, Denmark, Norway, Sweden, Finland, Russia, Japan, Singapore, Hong Kong, Thailand, Malaysia, Indonesia, Philippines, Australia, New Zealand, Libya, Kuwait, Saudi Arabia, Canada, Mexico, Panama, Venezuela, Peru, Chile, Argentina and Brazil. Mr. Barry received his B.B.A. from Pace University, New York, and began his career in accounting and finance with Deloitte Haskins & Sells (now Deloitte & Touche) in New York. Francois Nguene is an oil and gas executive with more than twenty-six years experience in the West African oil and gas region. Dr. Nguene is an experienced international negotiator as well as a project evaluator and manager with a broad range of relationships among officials of national oil companies and governments throughout Africa. Since 1999, Dr. Nguene has been Vice President of GeoExperts based in Cameroon where he been serving clients as their liaison to various national oil companies and governments, organizing and managing the provision of Contractual Training Commitments, and managing geological and geophysical field studies. Dr. Nguene was associated with the government of Cameroon petroleum company, Societe Nationale des Hydrocarbures (SNH) of Cameroon, from 1983-1999. He held increasingly responsible positions starting with Staff Geologist and leading to Head of Exploration Division supervising a staff of 50, including 40 geoscientists and engineers. While at SNH, he was responsible for participation in setting national policy for hydrocarbon E&P; serving as lead negotiator for Cameroon in petroleum contract negotiations and inter-regional relationships with other government oil companies; supervising the design, supervision and execution of E&P programs; and monitoring joint venture operations with international oil companies. As part of his service with SNH, Dr. Nguene was Technical Coordinator of Chad-Cameroon Export Pipeline Project where he was responsible for concluding the Framework Agreement for the project, the Chad-Cameroon Bilateral Agreement, the Convention Establishment Agreement and the Pipeline Operating Agreement. Prior to joining SNH, Dr. Nguene was a geologist with Gulf Oil Corporation, Houston from 1982-1983 conducting studies of exploration and production projects in the Gulf of Mexico. Dr. Nguene earned his PhD in Geoscience at New Mexico Institute of Mining & Technology, Socorro; his MS in Geology at University of Kansas, Lawrence; his BS in Geology at University of Yaoundé, Cameroon. He is a member of AAPG, AIPN, Geological Society of Africa and the Geoscience Society of Cameroon.